These unique & original handcarved moose & fallow deer antler sculptures are made one at a time and encompass hundreds of studio hours. Moose antler carving was one of William's earliest passions. He started making them for the Jackson Hole, Wyoming art market over 15 years ago. Hand carved in Fallow Deer antler by William. The name Gaia has come to represent the earth mother and William's florentine version would make an excellent companion piece to the Greenman sculpture displayed opposite. 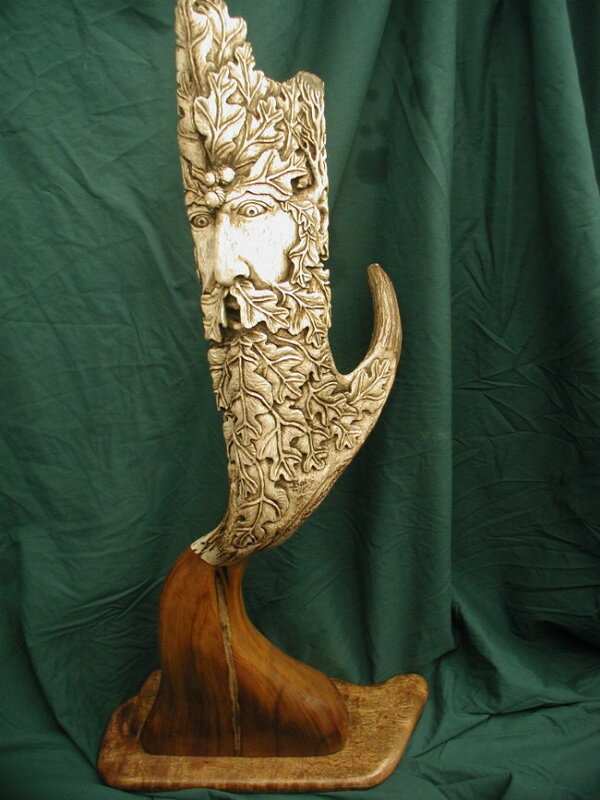 This moose antler is all hand carved by William depicting the Celtic God of the Forest, the Greenman. The Greenman was an important fertility symbol to the ancient celts. 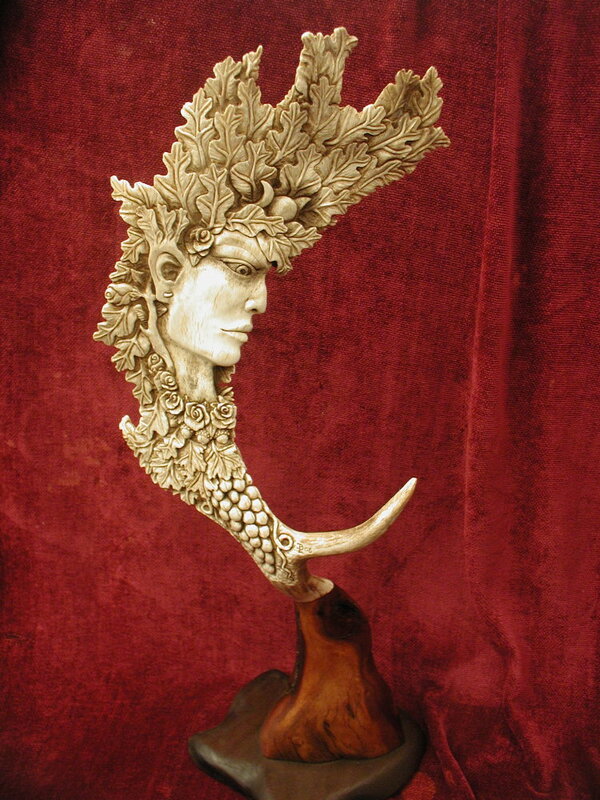 This sculpture is a perfect companion piece to Gaia, the Earth Goddess, displayed opposite.